In a society fighting towards gender equality, the future of beauty pageants in New Zealand is in question. Alice Peacock asks if there's still a place for them in 2018. It's less than a day before Jess Tyson is due to fly to China to compete in the Miss World pageant, and she's stressing about fitting six gowns and five cocktail dresses into her luggage. She also needed 30 "day outfits" for her month in Sanya — the grand finale took place overnight, with Tyson in the top 30. The 25-year-old is tall at 5ft 7in, has long blonde hair and freshly manicured nails. 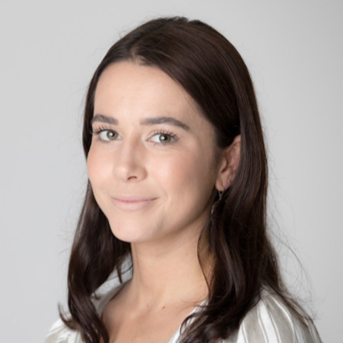 She's also fluent in te reo, has a journalism degree and has started her first job at Māori Television, co-presenting Rereātea, the online midday news bulletin, and working as an online reporter. Outside work, Tyson has started charity Brave, which raises awareness of sexual violence among young New Zealanders. The #MeToo movement resonates with Tyson more than it will, or should, for most pageant contestants. The Aucklander, who was brought up in Whanganui, was only 7 when she was sexually abused by a family associate. She went through the court system at the age of 9, but her perpetrator was never convicted due to a lack of evidence. She describes Brave, which is her Beauty with a Purpose project for the pageant, as a means of helping others battle similar things. Beauty pageants are empowering for Tyson. "What I love is just having a platform to raise awareness about something I'm so passionate about," she says. "Also, having something to strive for, and challenging myself." Other highlights include meeting new people and travelling — beauty pageants have taken Tyson all over the world, with airfares usually covered. Despite the perks, she recognises they're not for everyone. In the #MeToo era, the fact beauty pageants are still around, is something of an oddity. In New Zealand, the movement has seen a surge in Kiwi women contacting sexual abuse helplines to report historic incidents. The focus on women and gender equality has been bolstered this year by the 125th year anniversary of women's suffrage in New Zealand. There's an awkward disconnect between this emphasis and these events — and we are seeing an impact around the world. In the September Miss America final there was no swimsuit competition for the first time in its near 100-year history. The event was called a "competition", not a "pageant". The participants were "candidates" — interviewing for the job of Miss America — not "contestants." There was no runway and the word "Miss" had been stripped from the sashes. It was the debut of the newer, socially aware Miss America — or "Miss America 2.0". In July a pageant queen gave up her crown after a skit performed during the Miss Massachusetts pageant mocked the #MeToo movement. And in Mexico a politician wants lawmakers to ban beauty pageants in Oaxaca, arguing the "objectification" to which women are subjected to in such events doesn't allow them to assume a full role in society, limiting them to becoming an object of pleasure. The proposed legislation would prohibit granting prizes to women with the most sexual and physical appeal. There is less militancy in New Zealand, but many summer regional beauty contests are simply dwindling out of favour, though some are still battling on. Organisers of many contests around the world insist they are changing with the times. And yet this weekend dozens of young women paraded on stage in China, ostensibly to be judged on how pretty they were. Anna Paris says a common perspective is that beauty pageants should have "died a natural death a long time ago". In 2013 she published her thesis on the "concept of an ethical relationship with the self" for women engaging in body transformation like dieting or cosmetic surgery. She says it's easy to dismiss beauty pageants as "irrelevant, dated and disempowering". "There's no place for that in a society that should be taking into consideration women's value, outside of what they look like," she says. "I see it as an outdated display of normative femininity, that doesn't have a place in popular culture today." However, she accepts that — much like models on a catwalk — pageants tread a fine line. One modern view sees feminism as empowering women to make their own decisions about their bodies. "They say, 'this is my body, I've worked hard for it ... I want to feel empowered by showing it off, and having people appreciate it'," says Paris. "And increasingly, beauty pageants are used by contestants as a powerful platform for highlighting philanthropic and humanitarian causes." Despite that, Paris insists this kind of empowerment is based on a very "narrow, prescribed" definition of what beauty is. "Beauty pageants don't really celebrate diversity, do they?" Minister for Women Julie Anne Genter agrees that pageants limit the idea of beauty to a narrow ideal. She says women should be valued for more than their bodies and looks — and crucially that's a message we need to pass on to future generations. "Girls need to know their skills, intellect, courage, sense of humour and treatment of others matter." Genter says she would never criticise an individual for taking part — but she believes we should strive for a society where everyone's strengths are realised. Atia Irfan is a Bangladeshi national living and studying in Auckland. She's Muslim and a proud member of Auckland Young Feminists. She's also a beauty pageant contestant and was a finalist in Miss Five Crowns New Zealand — an event describing itself as a "performance platform" aiming to bring young women together and encourage expression of courage and beauty. She sees the pageants as a continuation of her modelling experience and enjoys the opportunity to put herself outside of her comfort zone while representing her country. But she refused to do the swimwear section and believes she may have lost points because of this. She says culture can present a barrier to participation and success in these events. Earlier this year Malaysian-born Waikato University student Nurul Shamsul wore a hijab at Miss Universe New Zealand — something Atia says was a first. Atia argues many pageants continue to objectify women. And the extent to which the events can empower women is limited — in essence only the "most beautiful" become empowered. At just 153cm, Atia is too short to compete at the top level in the bigger pageants. "I feel that there's this invisible boundary ... you can get to a certain level but you might not be able to get the crown. "You can't change height ... and my question is, does that mean you're not beautiful? "Why would you not fit that criteria, why would an industry have such funny requirements and set such beauty standards?" The first Miss World international pageant was in 1951. The first Kiwi contestant was five years later. At one time, the pageants were appointment viewing, broadcast to millions around the world. In 1983, Aucklander Lorraine Downes shot to fame when she won the Miss Universe pageant in Missouri, USA. Downes, a former dancer married to the late Martin Crowe, remains the only New Zealander who has won. Lorraine Downes won Miss Universe contest at age 19. Miss World NZ's communications co-ordinator Desmond Foulger says there is a "sea of negativity" about pageants — but it's mainly from older, more conservative New Zealanders. He is wary of becoming caught up in a story about pageants in a new era — in fact he is adamant the focus hasn't changed to accommodate any particular movement or shift in societal views. Rather, he says, he and wife Rose, who is pageant director, have always held views synonymous with women's rights and gender equality. "We're multi-ethnicity and we support women ... our attitudes support #MeToo so we can just jump on board and continue with it." Foulger, 75, is from South Africa while 68-year-old Rose is from the Philippines. The pair have owned the license for the New Zealand branch of the pageant for the past 11 years, since 2007. The main points of difference between Miss World NZ and the big pageants over in the US, Foulger says, is the level of focus around looks. "Miss Universe purely is to do with the body beautiful, and it promotes that. "As you well know, our friend Mr Trump owned that pageant for quite a few years ... it is very different in that it accentuates the sensual side of things." Foulger says Miss World's Beauty with a Purpose foundation has given nearly US$1 billion to contestants over the years. "What Miss World does, is encourage ladies of today to have a purpose, for which they can use their beauty to pursue their particular project. The whole pageant revolves around that." The organisers of Miss Universe NZ declined the opportunity to comment for this story. Talking about beauty pageants and feminism at her Māngere Bridge home, Jess doesn't see an overt conflict between the two. The day after Jess met with the Herald on Sunday, the 25-year-old flew over to China, for the 68th Miss World competition. The 25-year-old winner is decidedly off duty — she's sans shoes and is sporting minimal makeup - but freshly manicured and shimmery nails suggest the high heels will soon be back in action. Jess describes the event, which runs for around a month, as a marathon effort. She loves the challenge, the dressing up and the socialising with the other girls, but it's a long stretch of time to be "on", she says. "I shouldn't say that, but it's just so exhausting." Jess favours Miss World over other big pageants due to its omission of the notorious swimwear competition, or "bikini round". The section was ditched from the pageant's lineup in 2014. The judging for this category had been conducted in private, for several years before that. To Jess, this is a hugely positive move. "I'm confident in a bikini, but having less pressure and actually being looked at for my intelligence instead is so good. "It becomes more about how you speak, the community work you do ... and that's how Miss World is judged."